Hello! My name is Shoshana Blank. 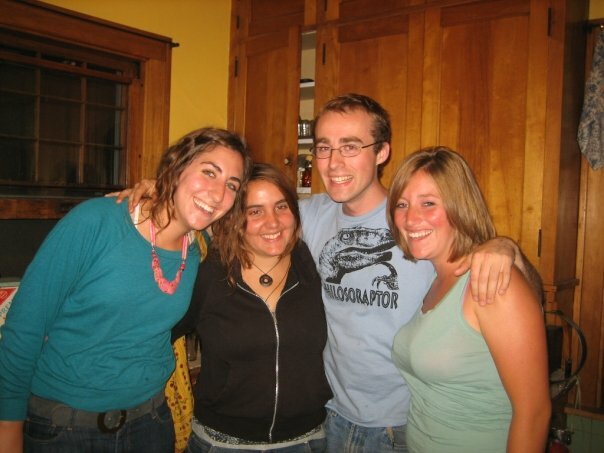 I went to St. Olaf College and participated in the Summer of Solutions in 2009. I joined SoS because I wanted to get involved in the Twin Cities community with students from other colleges. Also, I was so passionate about trying to create solutions to climate change, I knew from the title of the program that I wanted to be a part of it. I think that I found out about the program through an email from the Environmental Coalition at St. Olaf. Even as young college students, we were able to do some big things in Summer of Solutions-Twin Cities because we were well organized. We could offer solutions to community members and be taken seriously because we had a plan of action and materials to back us up. I am specifically thinking about Cooperative Energy Futures, with structured meetings, a nice website, and a good business model. I have so many good memories of my time with SoS, and I particularly love my memories from the potlucks we would have, at least once a week. It was such a good way to create community! Summer of Solutions definitely helped prepare me for my future. I learned a lot about residential energy efficiency, which led me to become interested in energy efficiency on a bigger, institutional level. Also, I learned how to talk to people about the financial savings from energy conservation, which is what I am doing now. It’s important to be able to tailor your message of sustainability to different audiences, and I learned that from working in communities in SoS. Currently, I work for the Sustainable Endowments Institute. We are a non-profit that works on getting colleges around the country to create green revolving funds to finance energy efficiency and sustainability projects. We run The Billion Dollar Green Challenge. I do a lot of outreach to colleges and I have also been working to design a website to help schools track their financial, energy, and carbon savings from energy efficiency and conservation projects. The message that I would give to somebody thinking about applying to be a participant in 2013 is: Do it! It’s a great way to make new friends, get involved, and really start to understand the community that you’re working in, and create REAL solutions! If you are passionate about climate change and sustainability, there’s no better way to work towards solutions than in a group of like-minded folks who can help you launch your ideas. Calling all Solutionaries! The National Participant Application for all Summer of Solutions programs is now open! 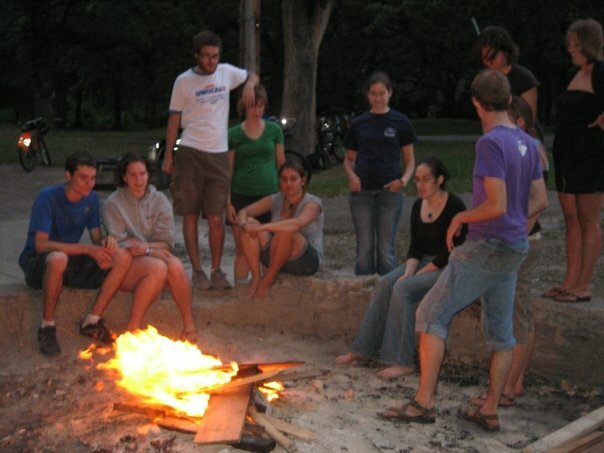 During the Summer of Solutions, you will receive training in community organizing and sustainable community development techniques. You will use these skills to demonstrate the promise of energy efficiency, community-based energy, green industry, local food production, and/or smart design as described in the locations you choose. Beyond the concrete skills you learn, Summer of Solutions will be a really fun community-based experience. It is a great chance to grow with, learn from, and work with other incredible young people and community leaders who are building a better future. Not sure if you should apply? Follow our new blog series, Alumni Spotlights, to hear from past Summer of Solutions participants about how their experience changed their life and prepared them for a life of solutionary work! Now accepting participant applications: Arleta, CA; Chicago, IL; Hartford, CT; Iowa City, IA; Ithaca, NY; Johnson City, TN; Lexington, KY; Little Rock, AR; Middleton, WI; Oakland, CA; Raleigh, NC; Southern West Virginia; Twin Cities, MN; and Washington, DC! Applications for the priority round are due on 3/3/2013 and applications for the final round are due on 4/14/2013. Some programs may keep their local applications open beyond 4/14, but there is no guarantee that any specific program will do so. Find more details and the online application here! This entry was posted in Alumni Spotlights and tagged Cooperative Energy Futures, Summer of Solutions, twin cities by growingfoodandsustainability. Bookmark the permalink.